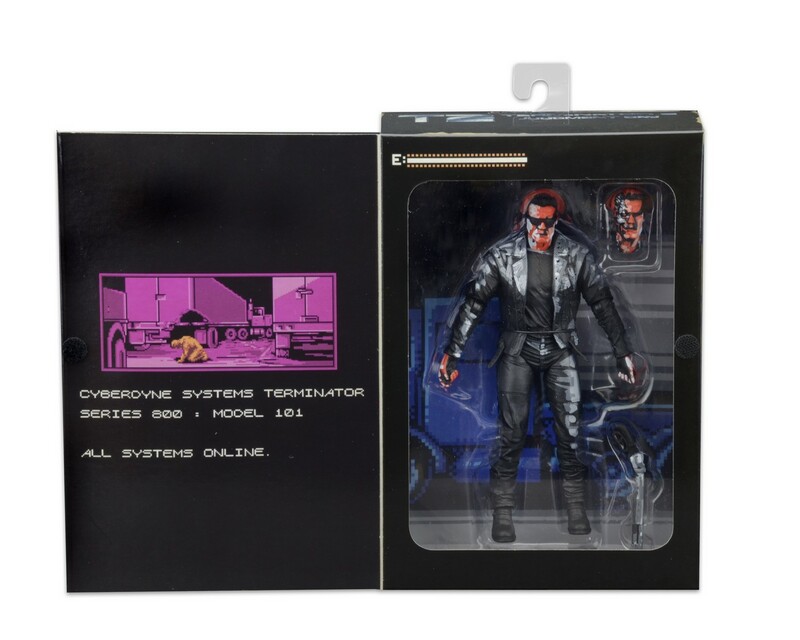 Even in 8-bit form, the T-800 is a fearsome opponent! We’ve got a new photo gallery of the relentless killing machine in action (and in packaging) below. 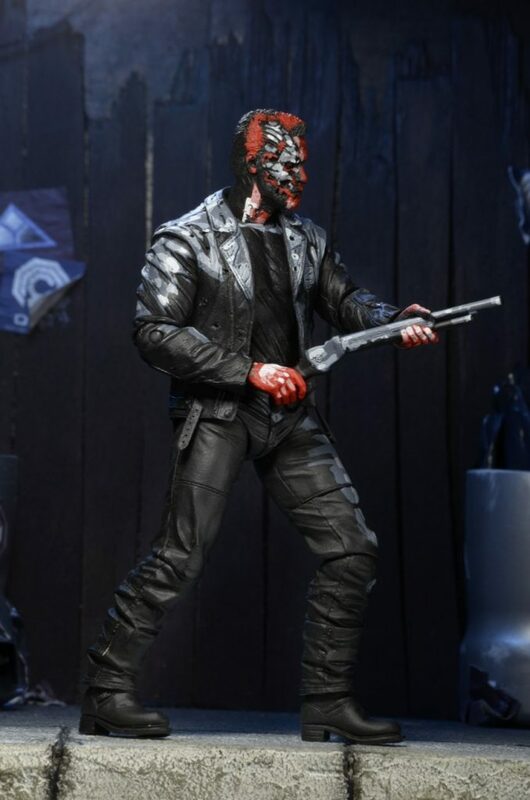 The figure is set for release later this month! 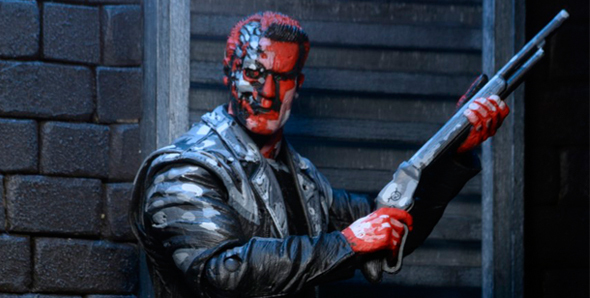 The ultimate killing machine joins NECA’s line of classic video game tribute figures! 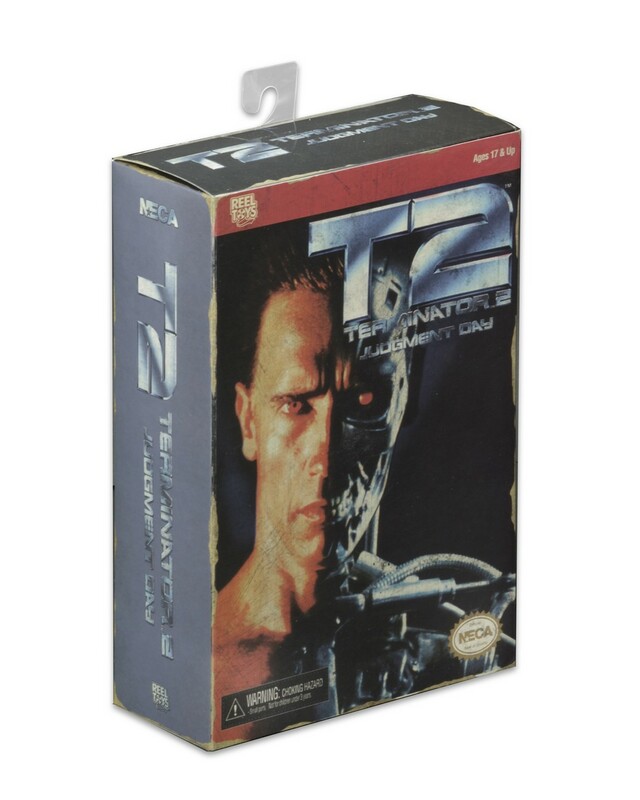 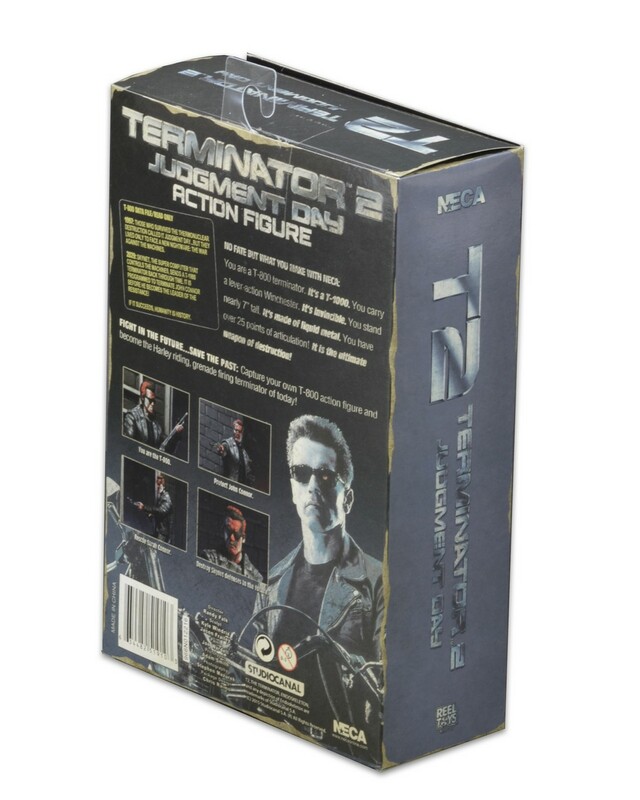 The Cyberdyne Systems T-800 gets the 8-bit treatment based on its appearance in 1991’s Terminator 2: Judgment Day video game. 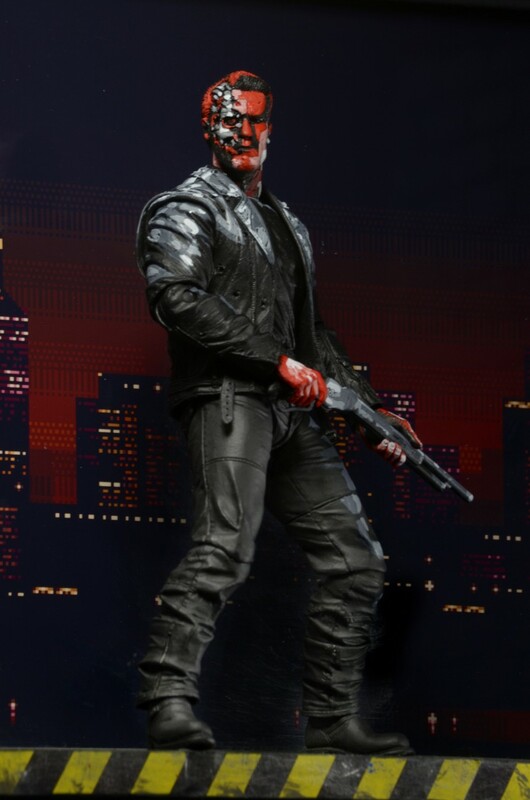 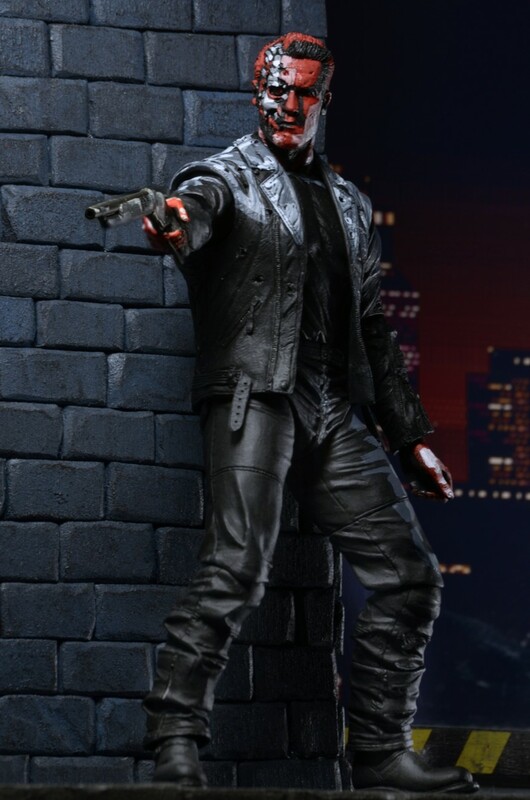 The figure stands approximately 7″ tall and utilizes the new “Ultimate” body, with nearly 30 points of articulation. 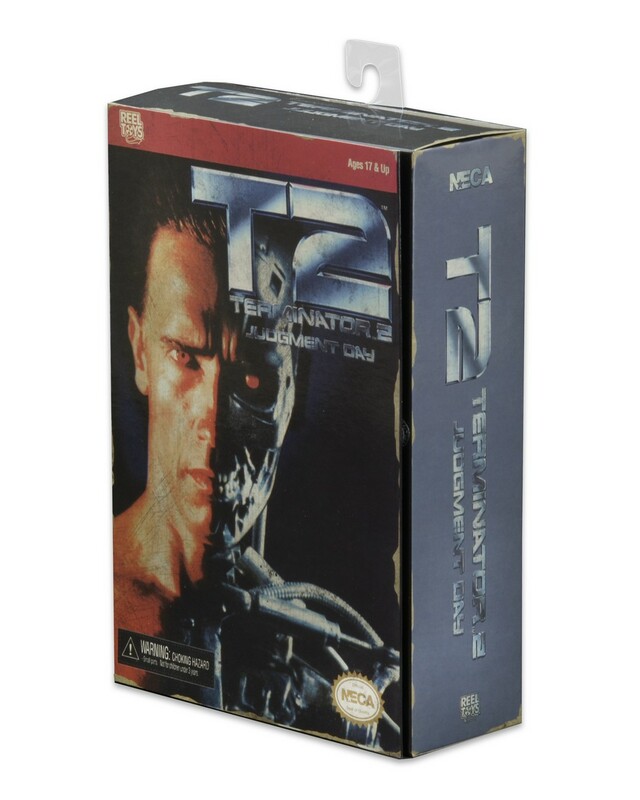 Special paint deco reproduces the game’s pixilated look, and the window box packaging re-creates the look and feel of the classic video game cartridge box. 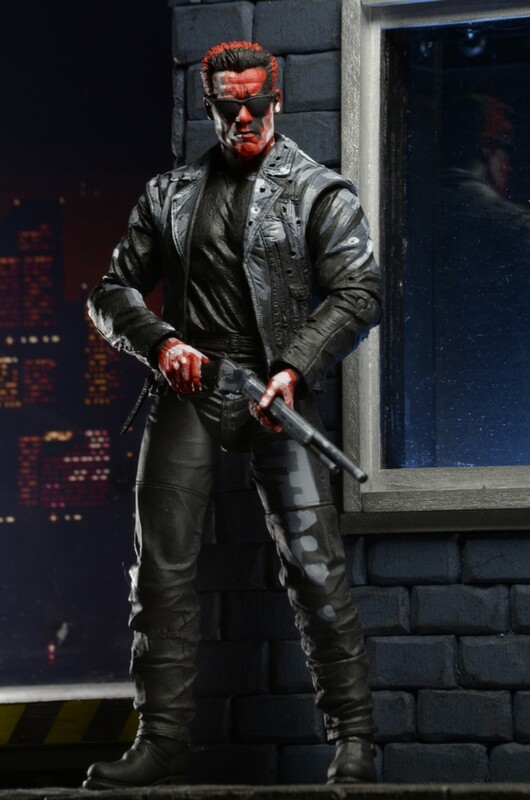 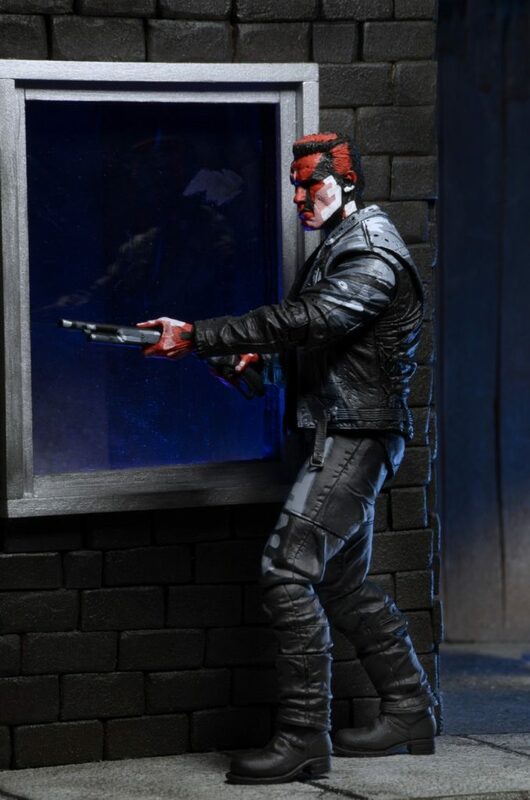 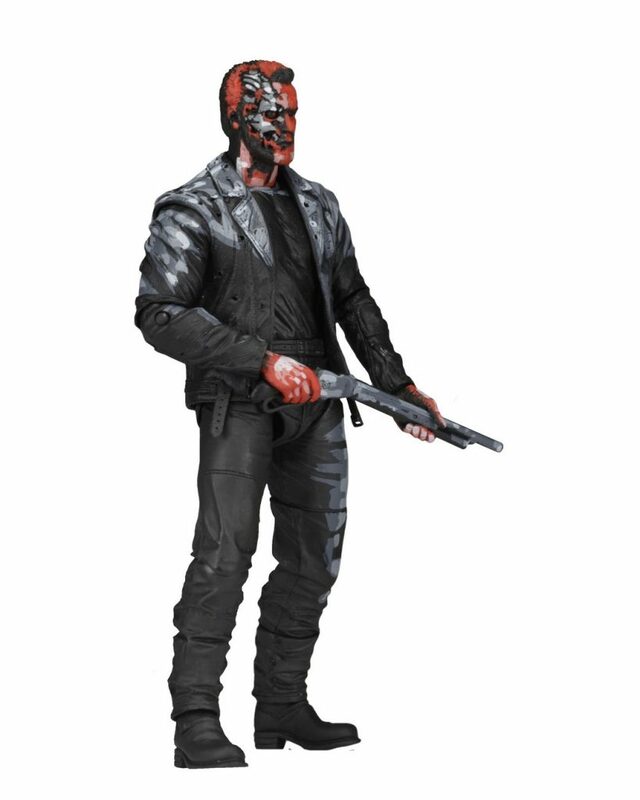 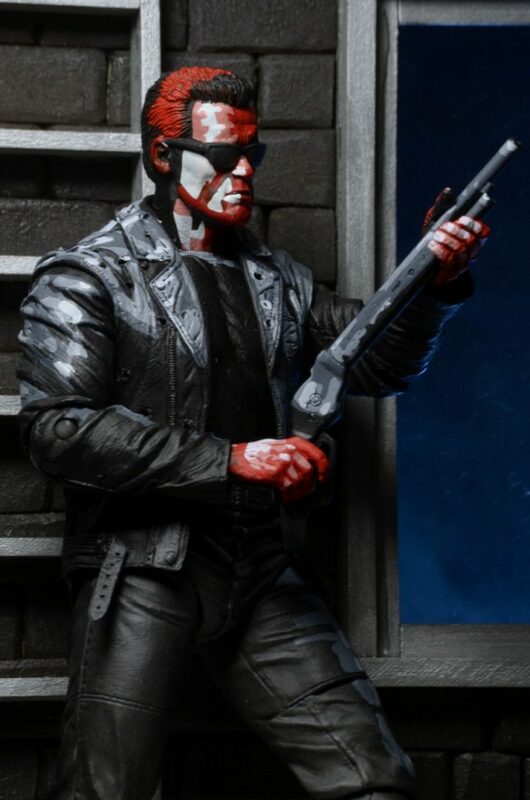 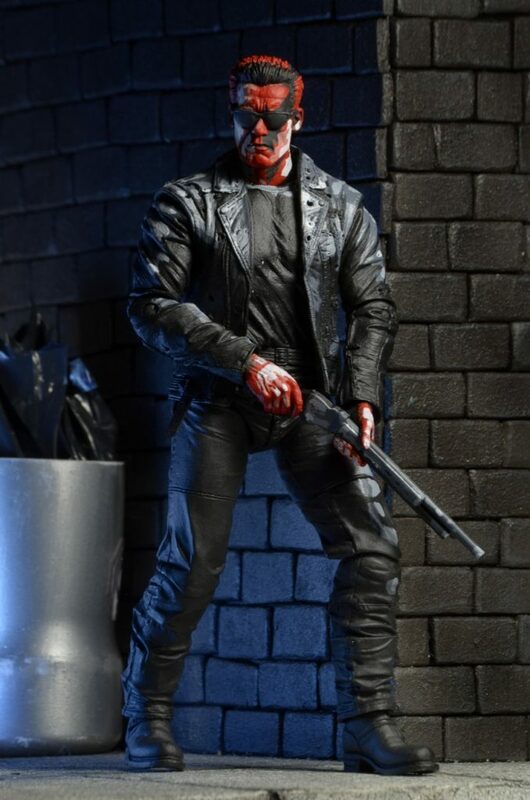 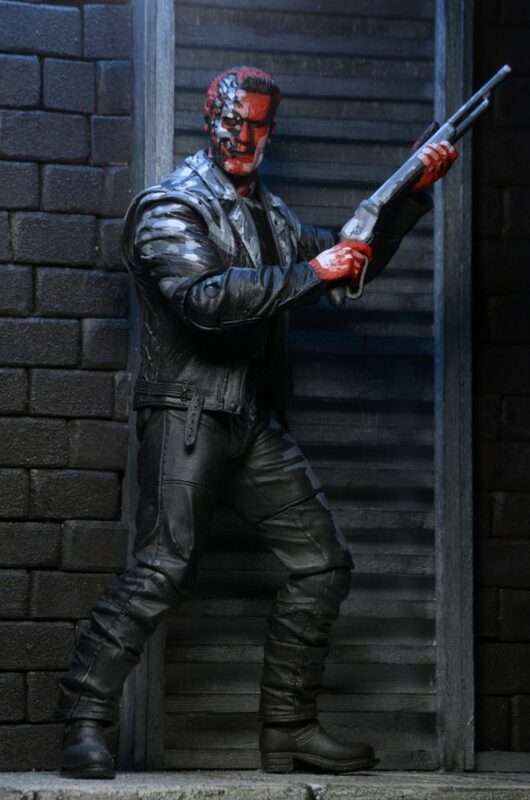 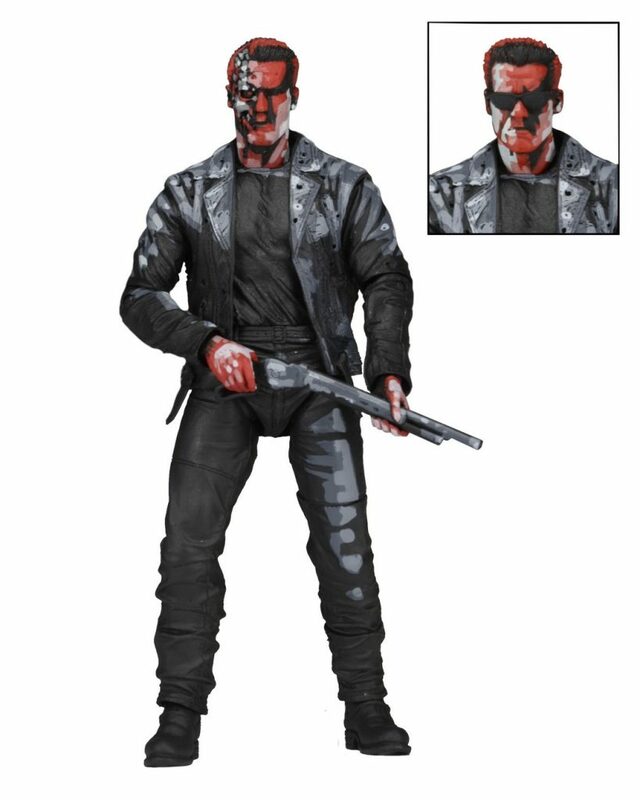 Includes two interchangeable heads (regular and battle-damaged) and a shotgun accessory.